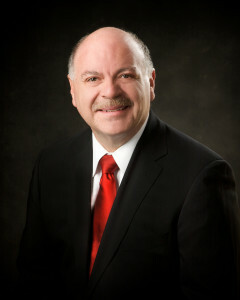 Samuel Valverde (1957) is the tenth Bishop President of the Apostolic Assembly. He was born April 29, 1957 in San Diego, California, the son of Pastor Miguel Valverde, his ministry began at the local church and rose to the Messengers of Peace National Board. He married our sister Raquel Contreras on December 30, 1978. He is a very talented and dynamic preacher. Bishop Valverde was first elected to the General Board in 1990 as Secretary of Christian Education. He later served as General Secretary and Bishop Vice President. He was elected Bishop President in 2010. His achievements as Bishop President were the Nuestro Canto II concert, the School of Pastors inauguration and a record 7,000 baptisms in one year through the Strategy of Jesus program. He has a Master of Arts in Religion from the Evangelical Seminary of Puerto Rico and is currently the Pastor of Fountain of Truth Apostolic Church in Fontana, CA.